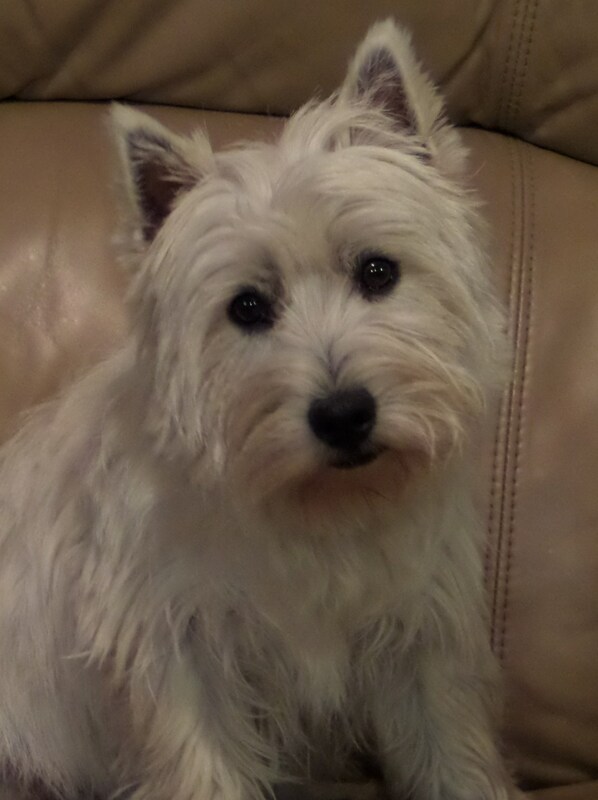 Molly is one of our THIRD generation westies! Kasey is her grandmother and "Lily" (A Kasey x Parker puppy) is her mother. Molly is very sweet and good natured and lives with my daughter, Renee, and her husband, Sean, daughter, Nikki (6 years old) and Carter (2+ years old). Her and Kylie (QUEEN of our westies) share the household with an 11 year old Lab, Maze. Molly is about 17 lbs and has had no health problems.